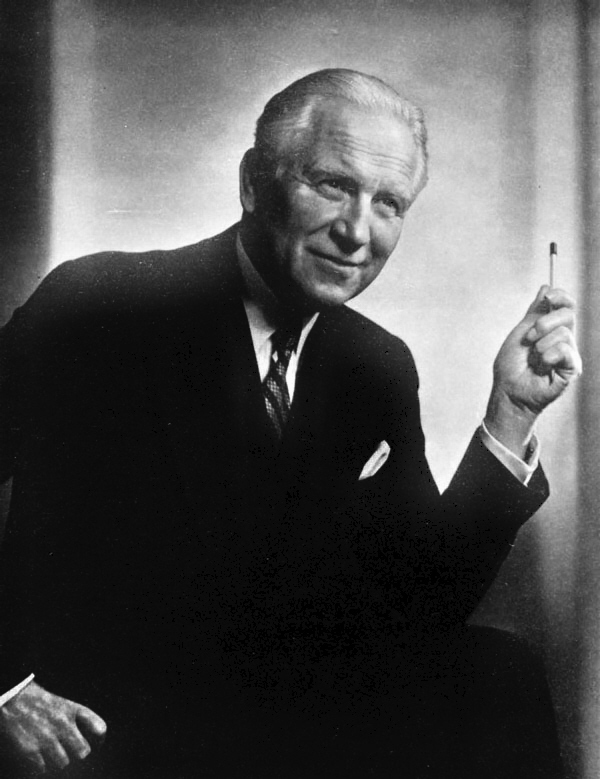 American conductor, composer and arranger, chiefly at Warner Bros., where he was employed for nearly forty years. 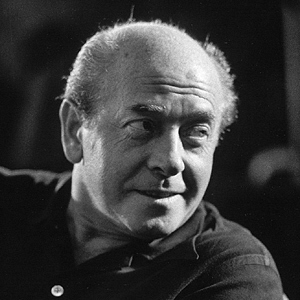 Heindorf, who won three (American) Academy Awards for his scoring of films, conducted Lanza in his recordings of songs, arias, and operatic duets for the soundtrack of the tenor's fifth film, Serenade. 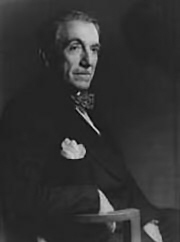 German-American conductor and impresario who was principal conductor of the Vienna Volksoper for 1931 to 1938, General Director of the New Orleans Opera Association from 1943 to 1954, and then founder and Director of the Houston Grand Opera Company. 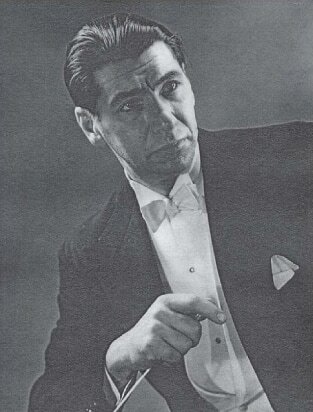 Herbert conducted Lanza in his professional operatic debut (as Pinkerton) in Puccini's Madama Butterfly for the New Orleans Opera Association on April 8 and 10, 1948. Writing in the St. Louis News, reviewer Laurence Oden wrote that “Lanza performed his duties as Lieut. Pinkerton with considerable verve and dash. Rarely have we seen a more superbly romantic leading tenor. His exceptionally beautiful voice helps immeasurably.” Herbert promptly invited Lanza to return to New Orleans the following year as Alfredo in Verdi's La Traviata (opposite soprano Eleanor Steber), but the tenor subsequently turned down the offer, presumably because the time constraints of his (by then) burgeoning film career prevented him from learning the role. Canadian tenor and later General Manager of the Metropolitan Opera (1935-1950). Johnson invited Lanza on a number of occasions to join the Metropolitan Opera, beginning in 1946 when he first heard the young tenor at a private performance organized by his voice teacher Enrico Rosati. 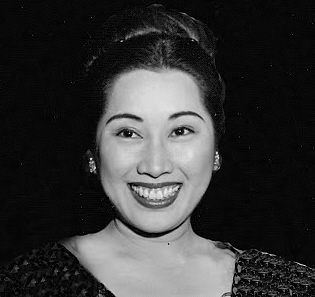 American soprano, active in both the United States and Europe, and long associated with the title role (Cio-Cio-san) in Puccini's Madama Butterfly, which she sang opposite Lanza's Pinkerton in the New Orleans Opera Association's 1948 production of the opera. in Lanza's third film, The Great Caruso, and was given considerable screen time, including two solo numbers, in addition to her performances with Lanza of “O Terra Addio” from Verdi's Aida, the Finale from Von Flotow's Martha, and the Sextet from Donizetti's Lucia di Lammermoor. 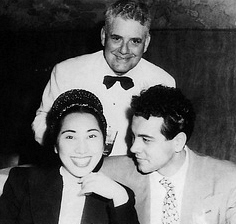 In the 1983 documentary Mario Lanza: The American Caruso, Kirsten stated that Lanza had “sounded fantastic” on the recordings for the film. Kirsten also sang in concert with Lanza in San Rafael on June 27, 1948. Reviewing the first of the two concerts, much-respected (and feared) critic Claudia Cassidy (1899-1996) wrote in the Chicago Tribune on July 7, 1946, that, "Lanza has a true Italian tenor, beautiful ardent and exciting.” She went on to praise the "superb range" of his voice, with its "crescendo to set susceptible folks shouting." Russian-born soprano who appeared at both the San Francisco Opera and the Metropolitan Opera, and also performed regularly throughout the United States as a recitalist with various symphony orchestras, in addition to making occasional forays into films. In a glowing 1947 review, the Los Angeles Times' Albert Goldberg described Koshetz as possessing a rare combination of attributes in a singer, and praised her "distinctively individual timbre" with its "slight tartness and the focused intensity of the characteristic Slavic voice." Three years later, Koshetz recorded an extract from the exciting duet "Bada, Santuzza, Schiavo Non Son!" from Mascagni's Cavalleria Rusticana with Mario Lanza for the soundtrack of the 1951 MGM film The Great Caruso. Koshetz also appears in the film (in the first of two operatic montages featured in the movie), although only half of her brief recording with Lanza was used. 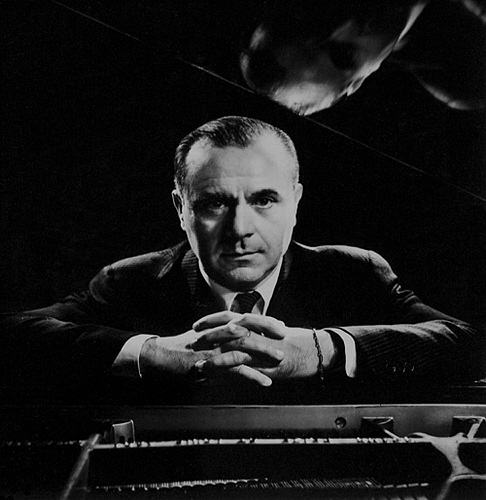 German-born pianist, conductor and operatic coach who came to the United States as a refugee in the 1930s after having been director of the Munich Opera. He later worked as a conductor for the New York City Center Opera and the Hartford Opera Company, and also taught at the Manhattan School of Music. Lehmann accompanied Lanza at the piano at a very well-received recital in Sunbury, Pennsylvania, in January 1947. American concert pianist and conductor, and founder of the Philadelphia Opera Company. Levin conducted Lanza on two live radio broadcasts of “Great Moments in Music” in January and February 1946. The first was a program dedicated to the songs of Irving Berlin, and the second a selection of highlights from Romberg's The Student Prince (with soprano Winifred Smith and baritone Robert Weede). 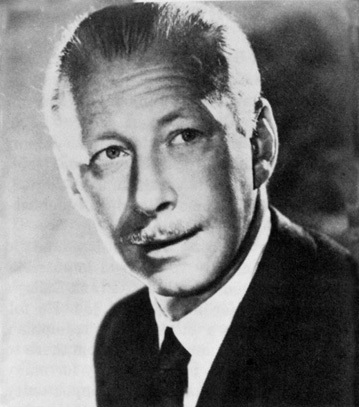 Canadian-born American bass-baritone who enjoyed a distinguished international career, including performances at the Metropolitan Opera (1951-1966), the Bayreuth Festival, and the Bolshoi Theatre, where he was the first American to sing the title character in Mussorgsky's Boris Godunov, one of his most celebrated roles. Equally at home in the German, Russian, French and Italian repertoire, London was also renowned for the roles of Scarpia in Puccini's Tosca, the title role in Mozart's Don Giovanni, and Wotan in Wagner's Der Ring des Nibelungen (or the Ring Cycle), among others. Lanza and London first met in 1944, becoming instant friends and fervent admirers of each other's vocal talent. It was on Lanza's recommendation that Columbia Artists Management, who represented the tenor, invited London to tour with him as part of the Bel Canto Trio, together with soprano Frances Yeend. The acclaimed Bel Canto Trio tour began in Milwaukee on July 8, 1947, and ended in Moncton, New Brunswick, on May 27, 1948. 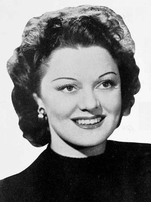 American soprano active in the United States in the 1940s and 1950s, principally as a concert singer. 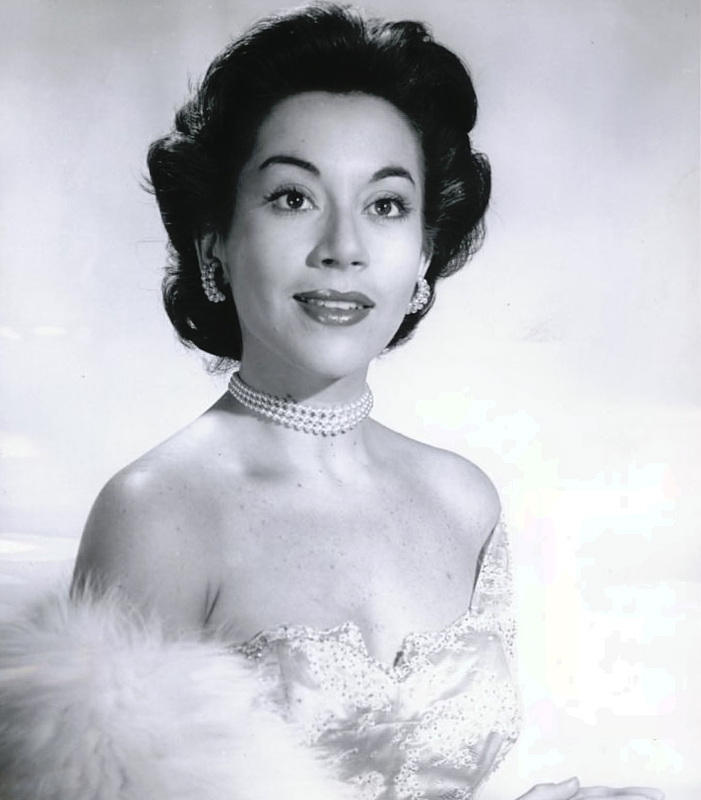 Among those she performed with were bass Ezio Pinza and Mario Lanza, with whom she sang four concerts in 1947. Three of these took place at the New Orleans Municipal Auditorium in June of that year, with a fourth concert in Grinell, Iowa, in October. The conductor on each occasion was Emanuel Balaban, and among the duets Lanza and Long performed were “Wanting You” from New Moon and “Will You Remember” from Maytime. 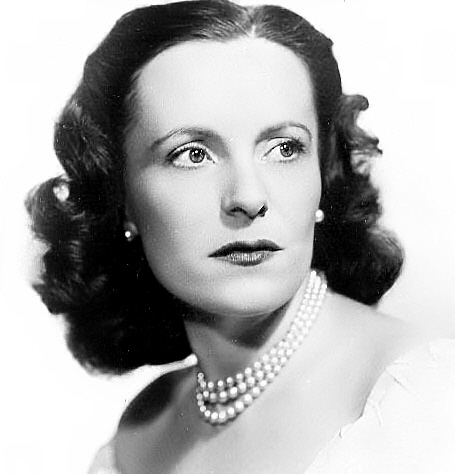 Long's voice was described by one music critic at the time as “exciting,” “ very warm in tone,” and reminiscent of soprano Marian Anderson. 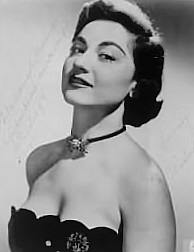 American soprano principally associated with the New York City Opera, with whom she performed regularly throughout the 1950s and 1960s before retiring from live performing in 1968. She later resumed her career, and still performs occasionally today. On April 11th, 1950, Malbin recorded two operatic duets with Mario Lanza for RCA. These were the Act I duet from Puccini's Madama Butterfly and "Libiamo, Libiamo, nei Lieti Calici" from Verdi's La Traviata. Both have been released commercially, together with an alternate take of the La Traviata duet. (An unreleased first take of their Butterfly duet also exists.) 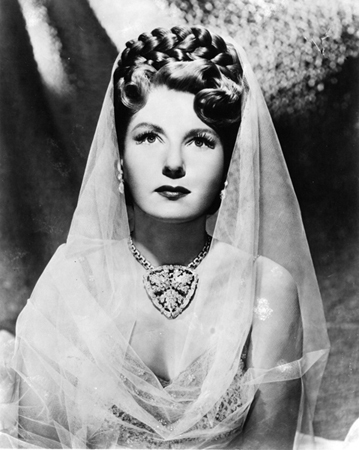 Although neither duet found Lanza in top form, Malbin considers herself fortunate to have recorded with him, and has only pleasant memories of a "very sweet and very charming" man. At the Met Guild Tribute to the tenor in 2005, she recalled Franco Corelli telling her that Lanza had possessed "the voice of the [twentieth] century." Viennese-born opera conductor, chorus master and libretto translator who immigrated to the United States in 1938 and conducted with both the Metropolitan and New York City Operas for over 40 years. Martin accompanied Lanza at the piano for a Jersey City concert in November 1942 and (reportedly) again in 1946 in selections from Verdi's "Otello" at an "Opera Log" for New Jersey's Trenton Opera Guild. in two performances of Andrea Chénier at the San Francisco Opera in October of that year (with Licia Albanese as Maddalena, Robert Weede as Gérard, and Fausto Cleva conducting). Regrettably, Lanza later declined the offer, citing film commitments and his wife's pregnancy. 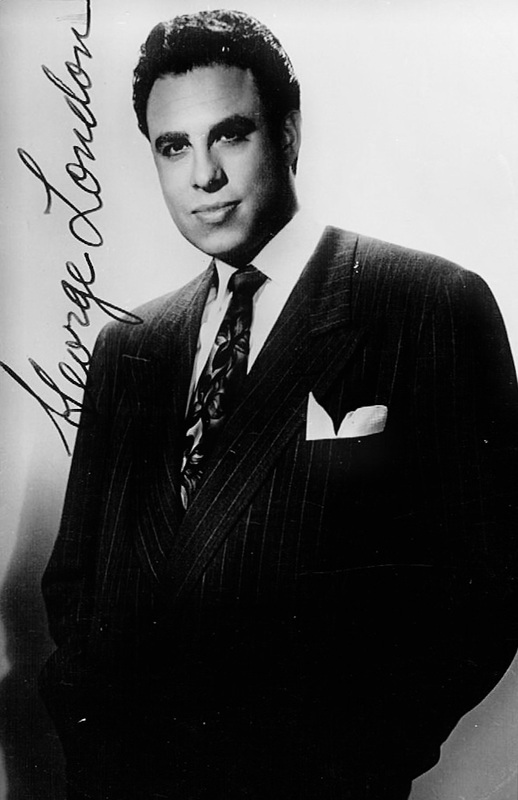 In a 1952 interview with the Seattle Times, Merola praised Lanza's “wonderful voice,” and marveled that the tenor could work all day on an MGM film set and then return home to sing an entire opera before supper. American conductor, principally associated with the Erie Philharmonic Orchestra, which he directed from 1931 to 1946. On November 21, 1945, Metcalf conducted Lanza at a well-received concert at Erie (northwestern Pennsylvania)'s Strong Vincent Auditorium. Among the selections Lanza performed at the concert were Ciampi-Motti's "Tre Giorni Son Che Nina," "M'Apparì" from Von Flotow's Martha, Mellish's "Drink to Me Only with Thine Eyes," and "For You Alone." Interesting aside: In an email to Stefanie Walzinger in October 2013, Steve Metcalf, the conductor's grandson, revealed that Lanza had stayed with his grandfather and his family during his time in Erie. The Metcalfs remembered Lanza as "a very gregarious house guest, who kept everyone up late with stories and conversation." Famed RCA producer of operatic recordings who produced Lanza's first commercial session for RCA in May 1949, during which the tenor sang much-admired renditions of the aria “Che Gelida Manina” from Puccini's La Bohème and the Neapolitan song "Mamma Mia, Che Vo' Sape?" Mohr also produced two of Lanza's recording sessions in February 1951, one of which resulted in the tenor's second million-selling single, “The Loveliest Night of the Year.” Years later, Mohr was asked about Lanza's weight problem, and its impact on his RCA sessions: "The magnificence didn't change. The problem was one of energy. When Mario was heavy, he felt he could sing as much as he wanted, so he would do numerous 'takes' for us. When he was thin, one 'take' was all he would do. The orchestra was always well rehearsed and we got spontaneous performances from Lanza. Either way he was fine——it was just that he was more comfortable heavy." Mohr also admired Lanza's singing on his 1958 album of Neapolitan songs, Mario!——even sending him a congratulatory telegram in Rome after hearing the master tapes——and subsequently wrote the liner notes for the release of this classic LP in 1959. Privately he told Lanza: "You and [conductor Franco] Ferrara certainly cooperated beautifully, and I have seldom heard you sing better than this. I know the record will be a success, if only on the basis of something like 'Dicitencello Vuie' or 'Passione,' although all twelve songs are beautifully done." four on Caruso Favorites (“Vieni sul Mar,” “Senza Nisciuno,” “L'Alba Separa dalla Luce l'Ombra,” “La Mia Canzone”), and five on The Vagabond King (“Some Day,” “Tomorrow,” “Nocturne,” “Song of the Vagabonds,” “Only a Rose Finale”). 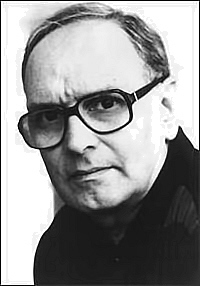 Morricone's arrangements of Neapolitan songs on the Mario! album are generally much admired for their intelligence, creativity, and seeming inability to date (intrusive “angelic” choir on the otherwise beautifully crafted “Voce 'e Notte” notwithstanding). In his 2016 book of reminiscences Inseguendo Quel Suono. La Mia Musica, la Mia Vita, Morricone confirmed that he was present at the Mario! album sessions. American actress and soprano, principally active on Broadway in the late 1940s and early 1950s, where she originated the roles of Tuptim and Marsinah in the musicals The King and I and Kismet, respectively. 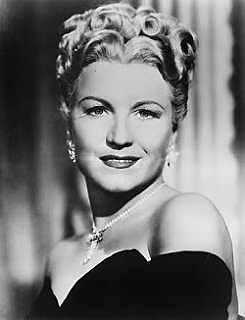 Morrow appeared opposite Lanza in her only film, the 1952 Because You're Mine, singing two renditions of the title song with the tenor in addition to several solo numbers. 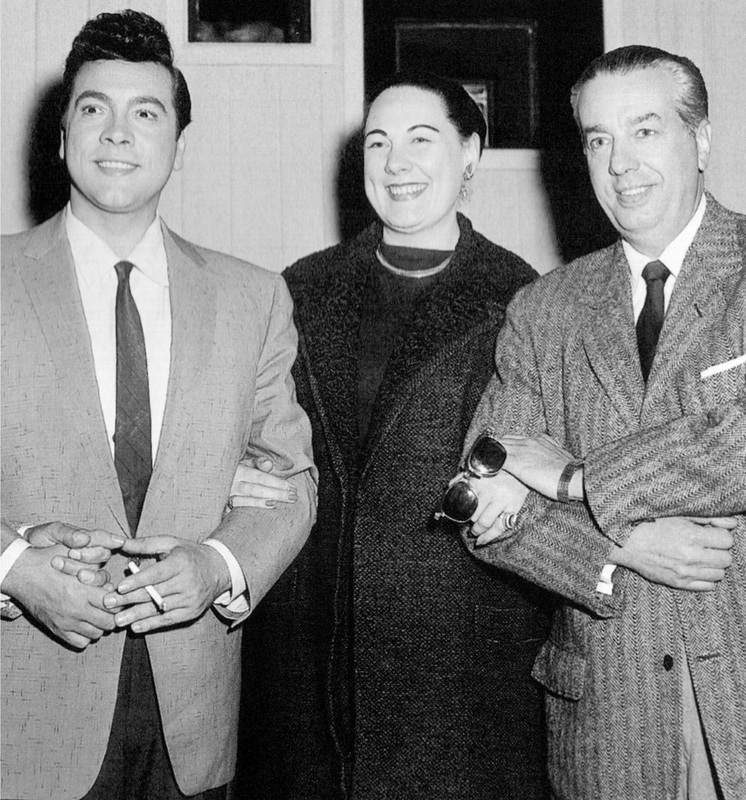 and on August 23rd, 1950, he participated in a recording of that opera's Act II Sextet ("Chi Mi Frena in Tal Momento") with Mario Lanza, Gilbert Russell, and fellow Metropolitan Opera singers Blanche Thebom, Dorothy Kirsten and Giuseppe Valdengo. 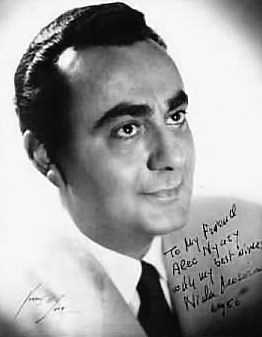 Peter Herman Adler was the conductor, and the recording was made for the soundtrack of the 1951 MGM film The Great Caruso. Moscona appears in the film's staged recreation of the Sextet (with his fellow singers), and also appears (fleetingly) in the Consecration scene from Verdi's Aida early in the film, together with a staging of the Finale from Von Flotow's Martha at the end of the movie. According to Lanza's close friend Terry Robinson, Moscona told the singer's father that his son was the best tenor with whom he had ever sung. American mezzo-soprano (and sometime-contralto) who spent much of her long career at the New York City Opera, where she performed as recently as 2004 in a gala celebrating the 60th anniversary of that company. 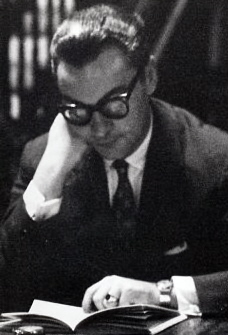 Italian composer, violinist and arranger (sometimes under the pseudonym "E. Aldani") who was active in Italy from the 1950s to at least the 1970s. Nadin arranged material on two 1959 Lanza albums: one song on Mario Lanza Sings Caruso Favorites (“Pour un Baiser”) and three on The Vagabond King (“Only a Rose,” “Drinking Song,” “Love Me Tonight”). British song composer, bandleader, and conductor who worked on Edgar Bergen's 'Charlie McCarthy Show' in the 1940s. 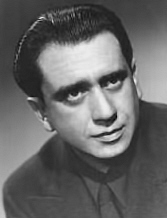 Noble conducted Lanza singing "Vesti la Giubba" from Pagliacci (and also interacted with him in a comedy sketch) on a live radio broadcast of Bergen's Show on February 15th, 1948. Four years later, Lanza recorded Noble's "Love Is the Sweetest Thing" for his weekly Coca-Cola-sponsored radio show. 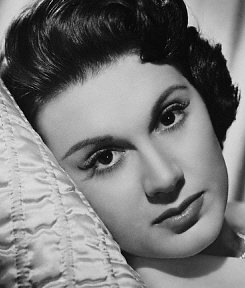 Czechoslovakian soprano who studied under Emily Destinn and later moved to the United States, where she appeared in thirteen roles at the Metropolitan Opera from 1940 to 1956, in addition to an active concert career and performances at the San Francisco Opera. Novotná also acted in occasional films, including The Search (1948) and The Great Caruso (1951). For the latter film, in which she plays the small role of a haughty operatic diva, Novotná recorded the duet "È il Sol dell'Anima" from Verdi's Rigoletto with Mario Lanza. Sadly, neither this recording nor the accompanying scenes (which were filmed, as surviving photos reveal) were included in the released version of the movie. However, two recordings from their 1950 session exist: a rehearsal version, in which Lanza sings in mezza voce, and a complete take in full voice. Renowned and much-recorded Hungarian-born conductor and violinist who was associated with the Philadelphia Orchestra for more than forty years. 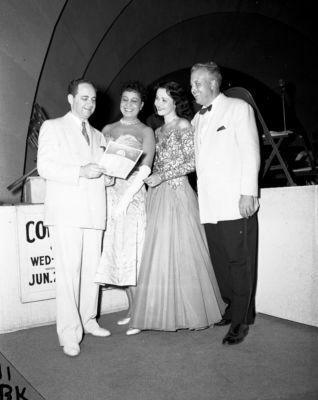 As a guest conductor with the Hollywood Bowl Orchestra, Ormandy conducted Lanza and soprano Frances Yeend at a concert in the Hollywood Bowl on August 28, 1947. The concert was broadcast, and can be heard in its entirety on CD in remarkably good sound. Lanza was in exceptional form (both vocally and stylistically) that evening, and the resulting combination of critical and popular acclaim helped persuade MGM Studio Head, Louis B. Mayer, who was present at the concert, to sign the 26-year-old tenor to a seven-year contract, ultimately changing the course of his career (and his life). Pianist for almost forty years to baritone Nelson Eddy, Paxson accompanied Lanza and soprano Dorothy Kirsten in their joint concert at Forest Meadows, San Rafael, on June 27, 1948. The Marin Independent Journal's music reviewer reported the next day that the audience of more than 2000 responded with "wild applause" to Lanza and Kirsten's duets. American bass-baritone who sang at the Metropolitan Opera, Covent Garden and at the New York City Opera. His roles included Hans Sachs in Wagner's Die Meistersinger, which he performed opposite soprano Joan Sutherland in 1957, and the title role in Mozart's Don Giovanni. In 1942, while at the Berkshire Music Festival in Tanglewood, Pease sang two performances as Falstaff in Nicolai's The Merry Wives of Windsor. Lanza sang the tenor role of Fenton in this production, and the two singers also appeared together in Tanglewood that year in two performances of a special staging of Act III of Puccini's La Bohème (along with sopranos Irma González and Laura Castellano). 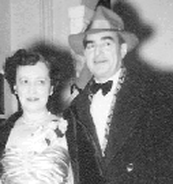 Italian tenor (sometimes known as Rudolph Pili) who sang at the Rome Opera, San Carlo and Teatro Massimo (Palermo) before emigrating to the United States, where he eventually settled in Philadelphia and founded the Apollo Grand Opera Company in 1927 with his wife, soprano Gloria Marion (1901- ?). 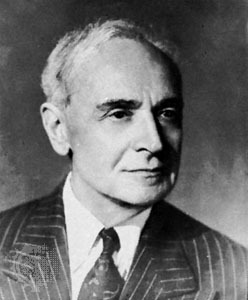 Pasquale Rodolfo Pili was born in the town of Tornareccio, part of the province of Chieti in Abruzzo, the same region where Lanza's mother was born. His tenor voice was variously described in US articles published between 1916 and 1920 as "mellow" and "brilliant." A member of both the Manhattan and Metropolitan Opera companies by his early 20s, Pili also served with distinction in Italy during World War I (Washington Times, 5 October 1916), rising to the rank of commanding lieutenant of an artillery battalion. On his return to the US, he sang lead roles with New York's Puccini Grand Opera Company before forming his own opera company. Pili also served as conductor/director of the YMCA Opera Company, which was situated on Philadelphia's Broad and Pine Streets. While in his late teens, Lanza began studying with Pili, who coached and cast him in a number of (amateur) roles with the YMCA and Apollo Opera companies. These included the part of Contino Del Fiore in Federico and Luigi Ricci's seldom-performed Crispino e la Comare (1850). According to Lanza's close boyhood friend Eddie Durso, the budding young tenor intensely disliked Pili's "type of training," feeling that it was ruinous to his voice, and on one occasion attempted to steal Pili's violin in retaliation. Durso recalled the teenaged Lanza vowing, "He's taking away my most prized possession from me: my voice. [So] I'm going to take his most prized possession: his violin." Side note: Pili is credited as choral director on a series of 1928 recordings with renowned tenor Giovanni Zenatello (one of which also includes a duet with the latter and Gloria Marion).